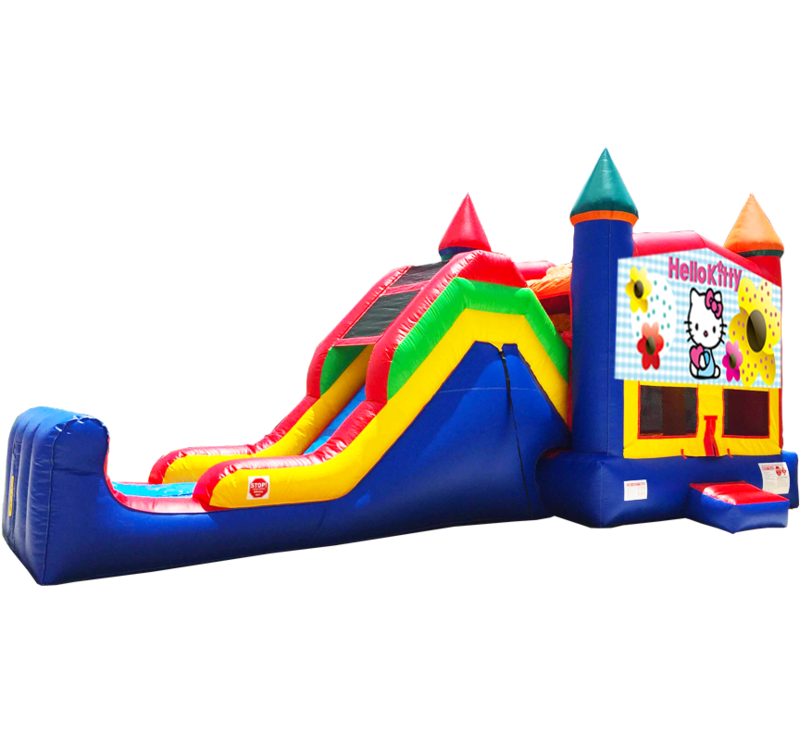 The Hello Kitty Super Combo features five elements: bouncer, climber, slide, basketball hoop and obstacle course. Any group of kids are sure of being entertained and captivated for hours by the Hello Kitty Super Combo. 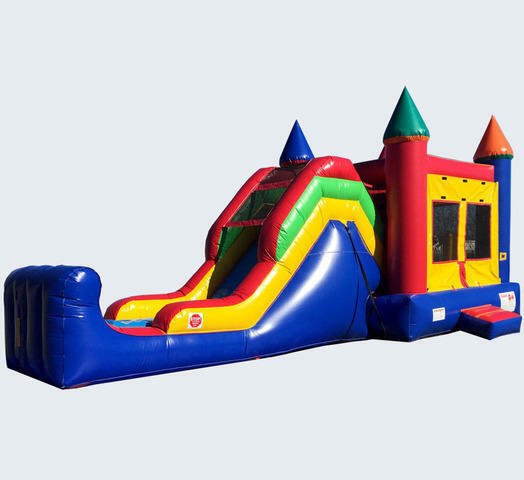 The bright primary color scheme brings an element of fun to your event location. This unit features all of the most recent safety updates.